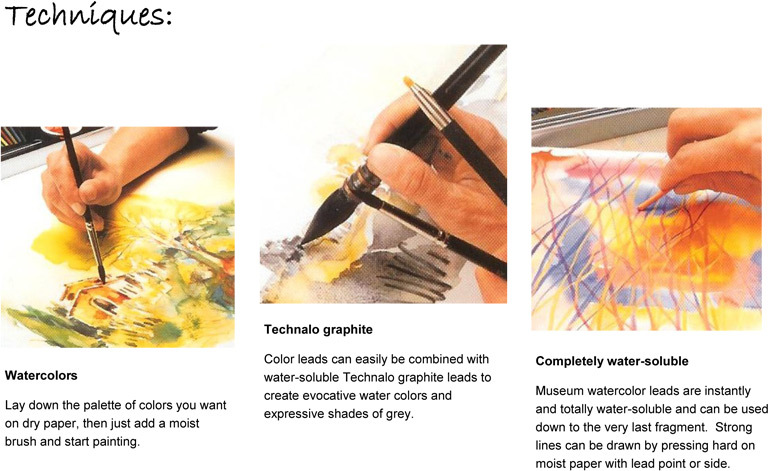 An assortment of professional quality watercolor leads and accessories. Created for professional artists, designers and illustrators. Perfectly suitable for all watercolor techniques. Individual color leads are available. Exceptional lightfastness (between *** and *****) in dry or wet use. Copyright © Creative Art Materials, Ltd.